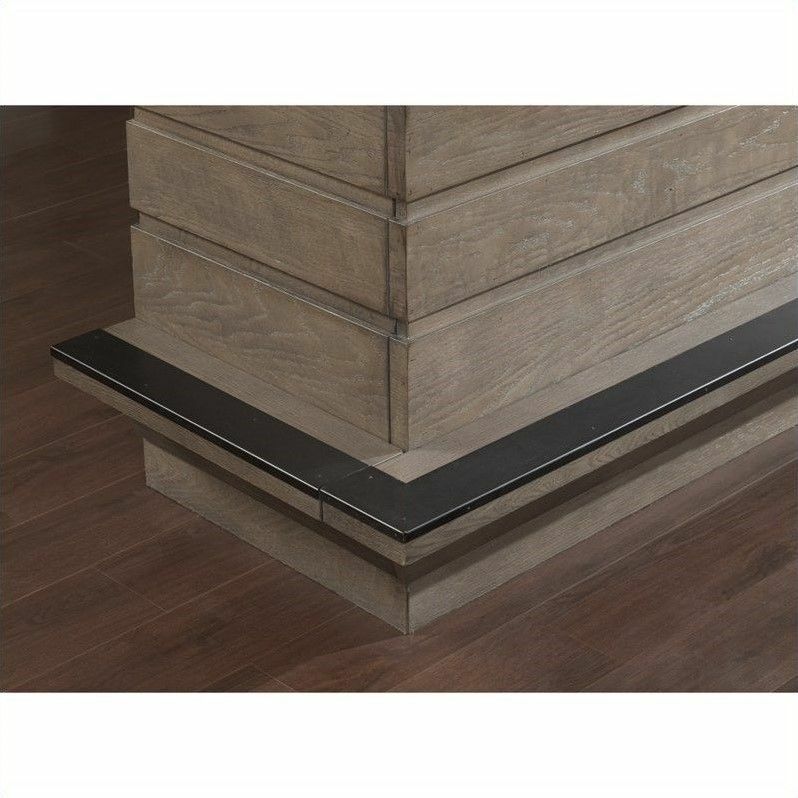 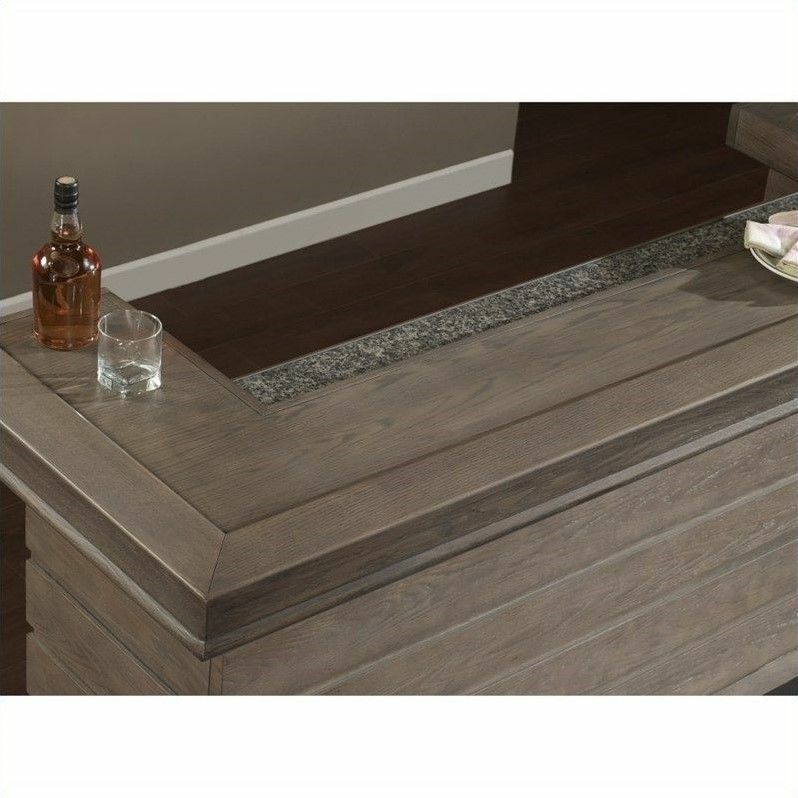 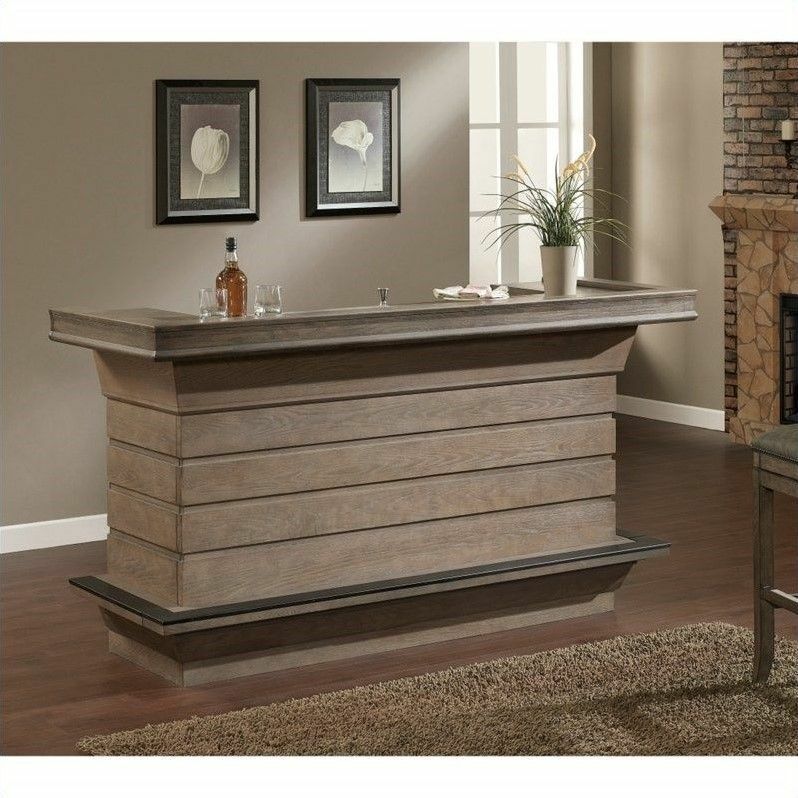 78.5'' Bar Finished in Glacier with Charcoal Bronze Accent Hardware, this stylish Oak Veneer home bar features an Ice Bucket, Glass Stemware Holders, and plenty of Storage Shelving. 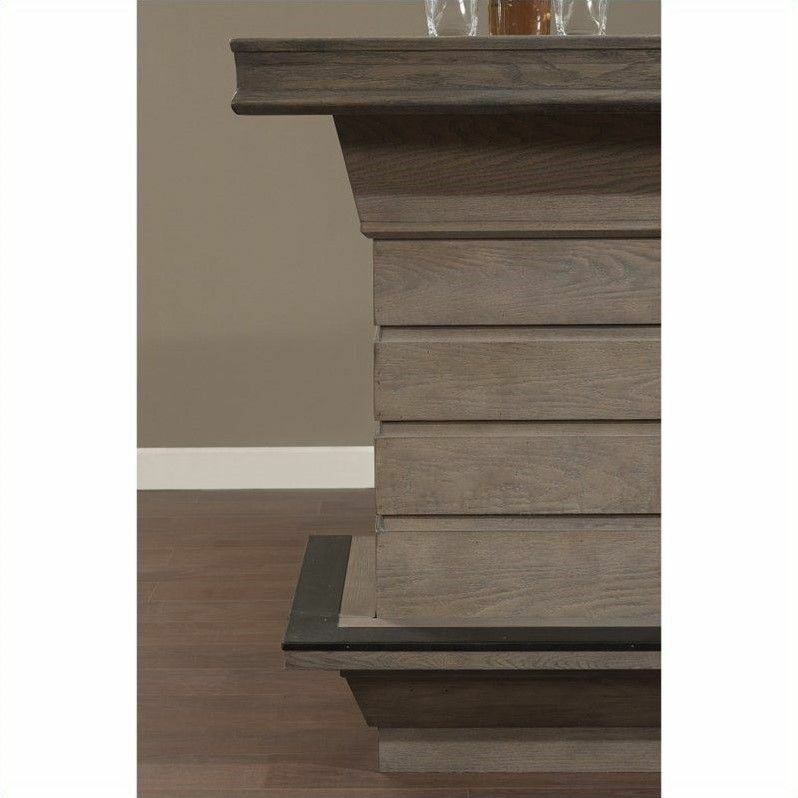 With an Oak Veneer and Stone top and a Decorative foot rest, it's sure to be appreciated for its form and beauty. 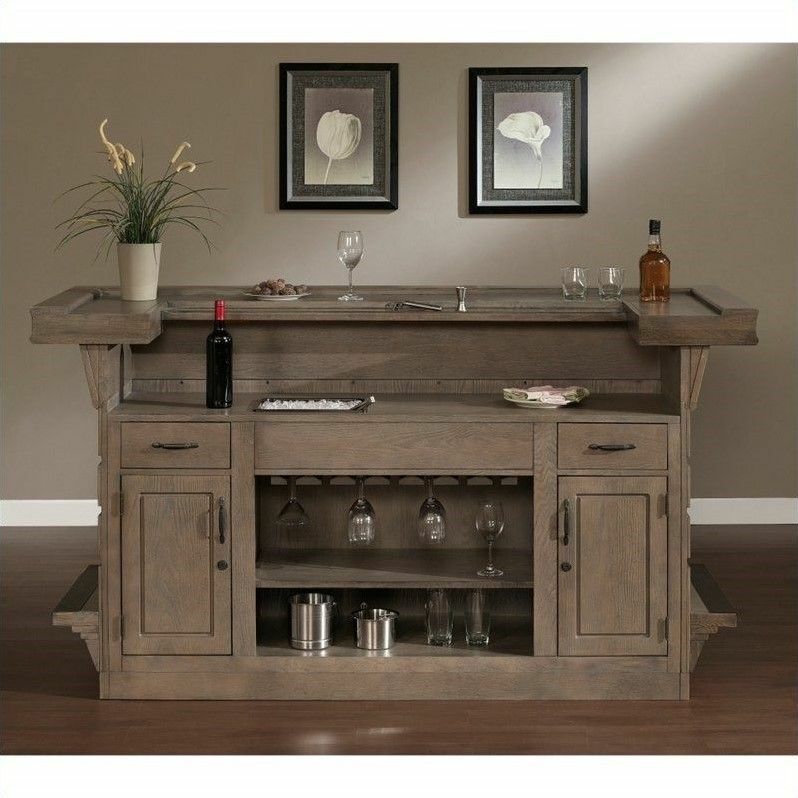 Features Locking Cabinets for added safety, and convenient Easy-Glide Storage Drawers.